My P&G Career started from an internship with Product Supply, and at my Day 1 I was entrusted and given an impactful business project to develop an Oral B transportation and warehouse cost saving masterplan of millions of dollars over 8 weeks internship. Honestly, I was intimidated to be a project owner to deliver a real business case and make difference from Day 1, but luckily, I was paired with a manager who helped to allocate the right resource for me, ensured I understand what is expected and enabled me to deliver beyond that. P&G cultivate future leader by giving responsibility right from the beginning, we do something that matters. 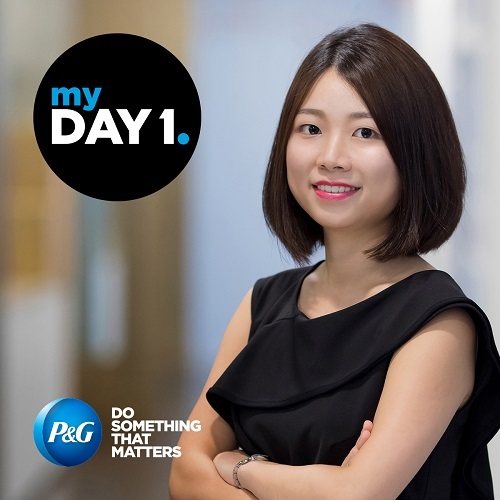 Now I have been working in P&G for three years and I am about to move to my next assignment, but the Day 1 kind of passion, engagement, and ownership never decrease. The steep learning curve helped me to progress from day to day and perform at my best. I am constantly developing my capabilities and growing my experience professionally and personally. The inclusive culture of P&G also brings me friendship, we work hard and play hard together.